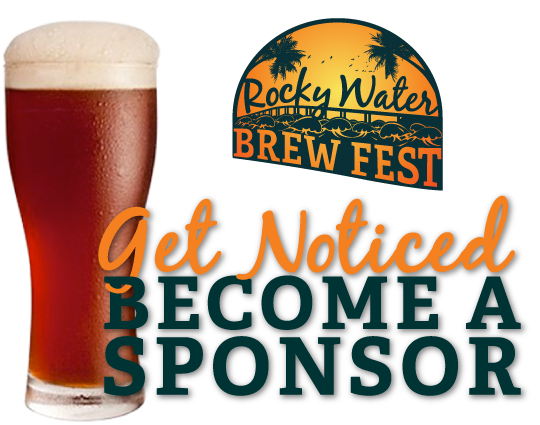 All proceeds from Rocky Water will benefit the Eau Gallie Rotary Club. They raise money throughout the year to benefit numerous local and International charities. • Comped food and drinks for five at Welcome Brewers party the evening before the Rocky Water Brew Fest. • Comped food and drinks for four at Welcome Brewers party the evening before the Rocky Water Brew Fest. • Comped food and drinks for two at Welcome Brewers party the evening before the Rocky Water Brew Fest. Please provide us with a short paragraph about your company. Please upload a color and black and white version of your logo. Each sponsor package does include a limited number of event tickets. If you require additional tickets indicate that here.